They newly launched Flagship killer, OnePlus Two is received great response from the Tech community. OnePlus Two comes with great specifications and latest Cyanogenmod OS. If you love tinkering things, you might get bored of Cyanogen OS. To Install Custom ROMs, Kernels, Mods & other stuffs like customizing System files, you need have root access. 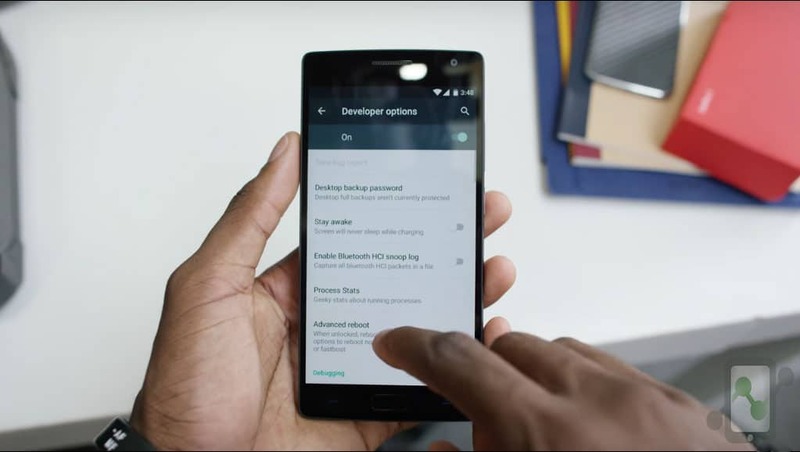 However, to gain full control over your OnePlus 2 you need to Root it. If you are new to Rooting, check everything related to Rooting & Custom ROMs Today, we’ll learn how to Unlock OnePlus Two Bootloader in few simple steps. 1. First Install USB Drivers & Minimal ADB on your PC. 2. Goto C: > android-sdk > platform-tools OR Where you have installed Android SDK. Now Hold the shift key and right click on the mouse in any black area in SDK Folder, you’ll find an option as “Open Command window here”. Click on it. 3. Type the below code in the command prompt / Terminal. 4. Connect your device to your PC by enabling USB Debugging mode (Settings>Developer Options) If you can’t find Developers options, Goto Settings > About Phone > Tap the build number for 7 times. Don’t forget to install the USB Drivers. If it returns your device serial number, you are all set to go. Note: Unlocking Bootloader erases all your data i.e its does a Hard reset. Make sure you backup everything before following any of the steps mentioned below. Step 1. Power off your phone & Again Power On by Pressing Power Button + VolUp Button Simultaneously. This should get you into the Fastboot mode. Step 2. Connect your phone to your PC via usb cable. Step 3. Goto C: > android-sdk > platform-tools OR Where you have installed Android SDK. Now Hold the shift key and right click on the mouse in any black area in SDK Folder, you’ll find an option as “Open Command window here”. Click on it. Step 4. Type the below code in the command prompt / Terminal. The device will now go through the automated unlocking process. Wait for the process to complete. Follow the onscreen Notifications. It should return a screen similar to this. Step 6. You have successfully unlocked your OnePlus 2. Now you can Install Custom recovery & Root your OnePlus 2. If you are stuck at any step, you can comment below.